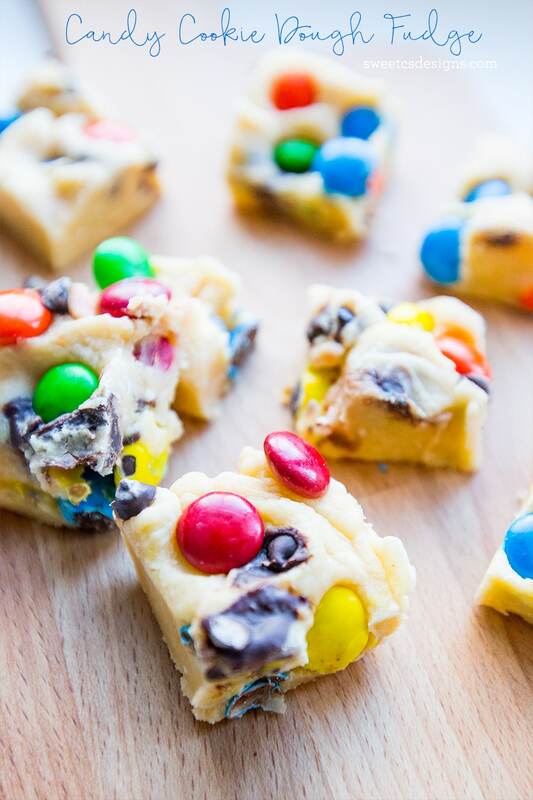 Quick, easy and delicious – this microwave M&M Candy Cookie Dough Fudge is a perfect Holiday or Birthday party treat! Five minutes active time, ready to eat in less than 2 hours! Easy, simple fudge is literally one of the best treats on earth. You dump some stuff in a bowl, mix it up, and microwave it – and then let it cool and set. And then, all of a sudden, you’re tucking into the most delectable, addictive, insanely sweet and gooey treats ever! 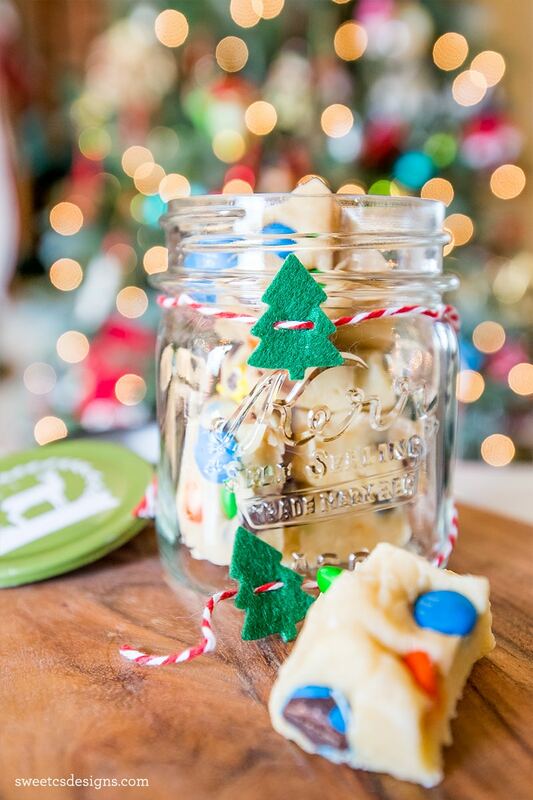 Because fudge is so simple and easy to make – and uses a lot of ingredients you’re likely to already have on hand – it makes a great gift for friends, co-workers, teachers, and neighbors. Or yourself. 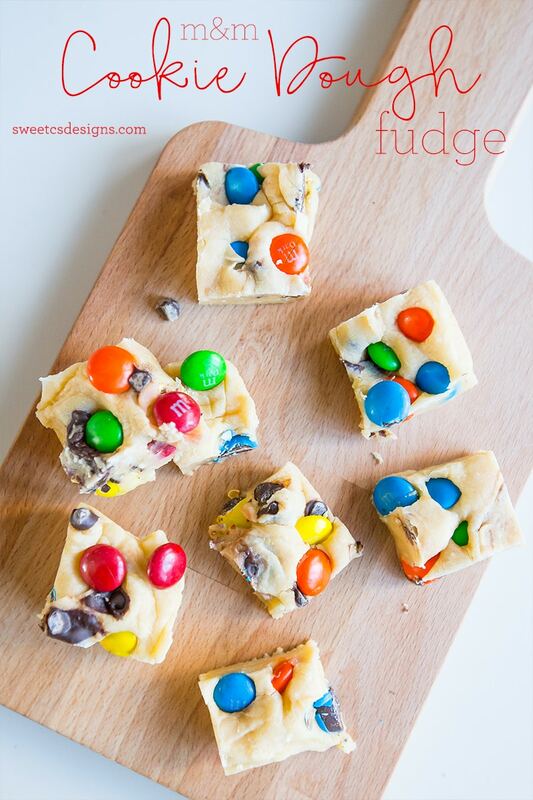 Because, you know, after all that stirring and microwaving, you deserve a plate of some chewy goodness! 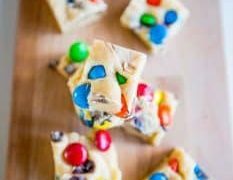 I hope you love this recipe as much as I do – you can update it with seasonal M&M’s for every holiday – or even change it up and use a different candies, oreo cookies, jellybeans; the sky is the limit! and Peanut Butter Chocolate Fudge! Microwave chocolate, butter, and water in large microwaveable bowl on HIGH 2 min. or until butter is melted. 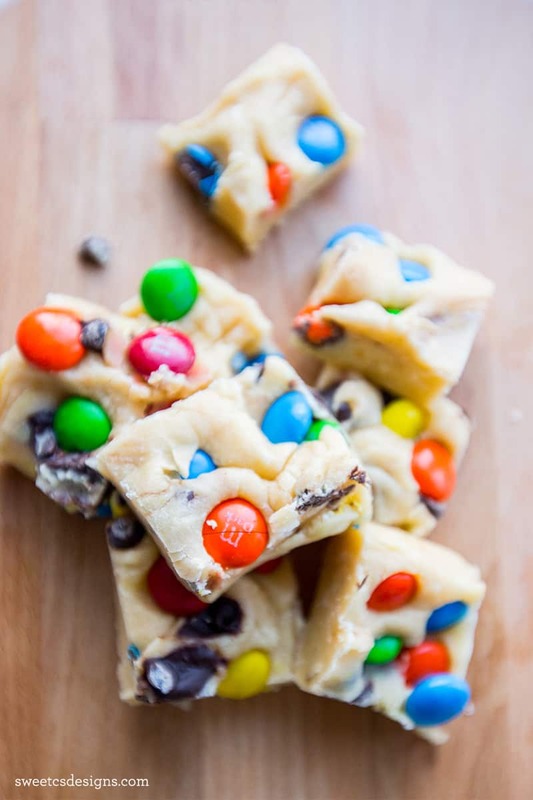 Add dry pudding mix or cookie mix and stir until mixture becomes thick and creamy. Add sugar, 1 cup at a time, stirring after each addition until well blended. 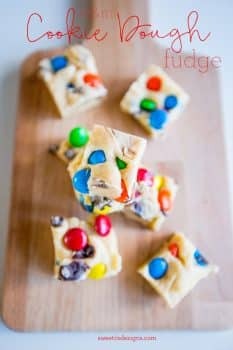 Add candies to fudge and stir quickly (don't overstir or candy color will bleed out onto fudge). Press onto bottom of prepared pan with back of spatula. Refrigerate 2 hours or freeze 30 minutes- until firm. Eat or pack in airtight container with parchment paper between each layer and store in refrigerator.